RIP (Repair Information Page) | Before you bury your project, read this! We call it the "RIP" for short -- here you'll find repair information and how-to's to help you start maintaining and repairing your own equipment and lawn. Featuring do-it-yourself (DIY) service and lawncare tips from the pros. As a chainsaw owner or operator, it’s important to know your chainsaw’s chain. With terms flying around like pitch, gauge, round-tooth, square-tooth, chisel, full-complement, half-skip, and full-skip it’s easy to become confused. 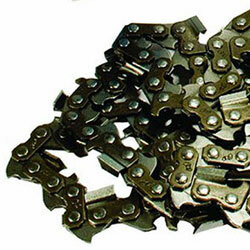 Let’s start with learning the anatomy of saw chain. …read more. To some, owning a salt spreader means cutting a few holes in a large enough can and shaking out the salt. To others, it’s a deeply integrated part of their snow removal services. 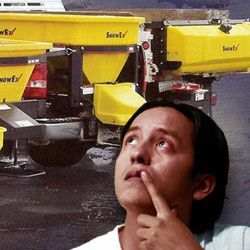 Many decide which type of spreader to use simply by considering the volume of material it can hold compared to the volume of material they plan to use. Making a decision like this can be a costly mistake. …read more. Fall is a great time of year for essential lawn care to ensure a healthy lawn next cutting season. 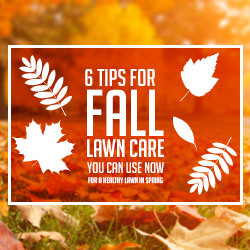 Take action on these 6 tips now and you’ll be ready for a great start to next spring! …read more. We're your source for everything outdoor power equipment. Need help with a repair? Give us a call or send us an email and we'll try to help you through it. If it's going to be a big job, we might recommend going to see your local service center.